Lumiere d'Ete - Golden bronze powder - this is quite close to my skin tone so doesn't really show up that well on swatching. The swatch on the left is Desinvolte - not part of this collection. 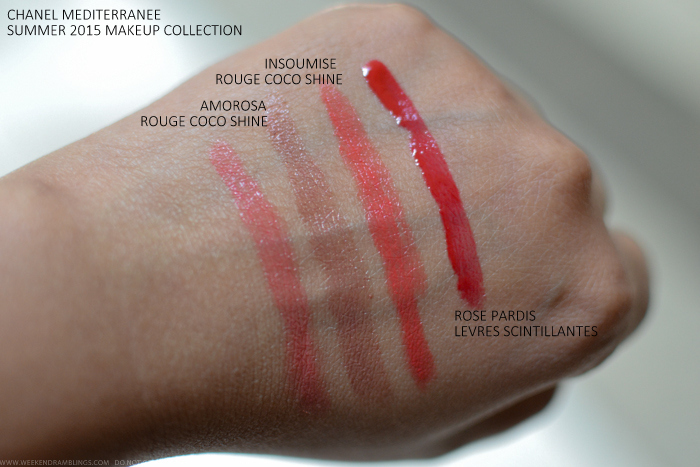 Also included in the collection are Rouge Coco Shines in Reveuse and Intrepide as well as Levres Scintillantes in Allegria - I couldn't find any testers of those in the store, though. 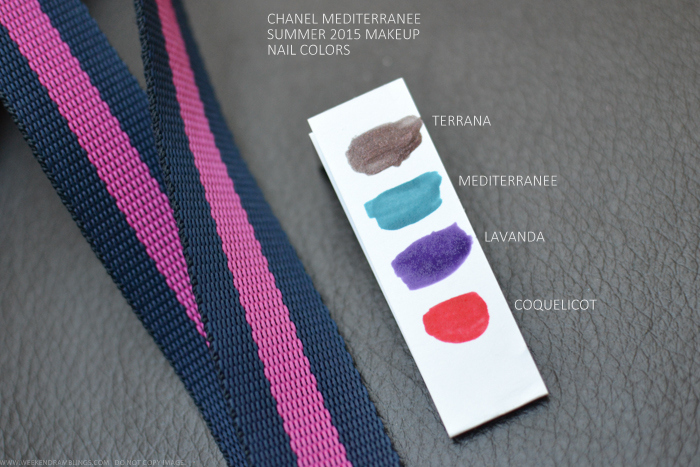 My favorite from the collection would be Rouge Coco Shine in Insoumise, but the most interesting would be Stylo Eyeshadows. 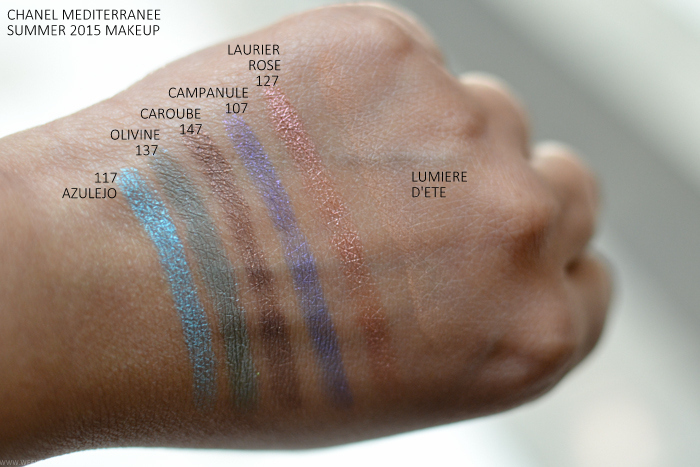 These stick eyeshadows glide on supersmooth and feel cool (almost wet) on the skin and dry to a long-lasting soft finish.